GARDAÍ IN BRAY are confident that they will be able to make an arrest in the case of a fatal assault which happened outside a hotel late last week. 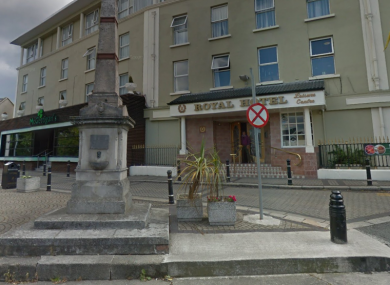 Vincent Kelly died after he was punched outside the Royal Hotel on the town’s main street at around 2am on Saturday morning. The man, who was originally from Newtownmountkennedy in Wicklow, was treated at the scene before being removed to Beaumont Hospital where he died of his injuries. Gardaí, who have reviewed the CCTV available to them, believe Kelly died after a one punch attack. They are now following a “definite line of inquiry”. At this moment in time, detectives do not know what started the dispute between Kelly and the man who attacked him. Officers are calling on anyone with information to contact Bray Garda Station or the Garda Confidential Line on 1800 666 111. Email “Gardaí confident of arrest in fatal Bray assault as CCTV captures aftermath of attack”. Feedback on “Gardaí confident of arrest in fatal Bray assault as CCTV captures aftermath of attack”.